Albion SC is dedicated to technical player excellence. 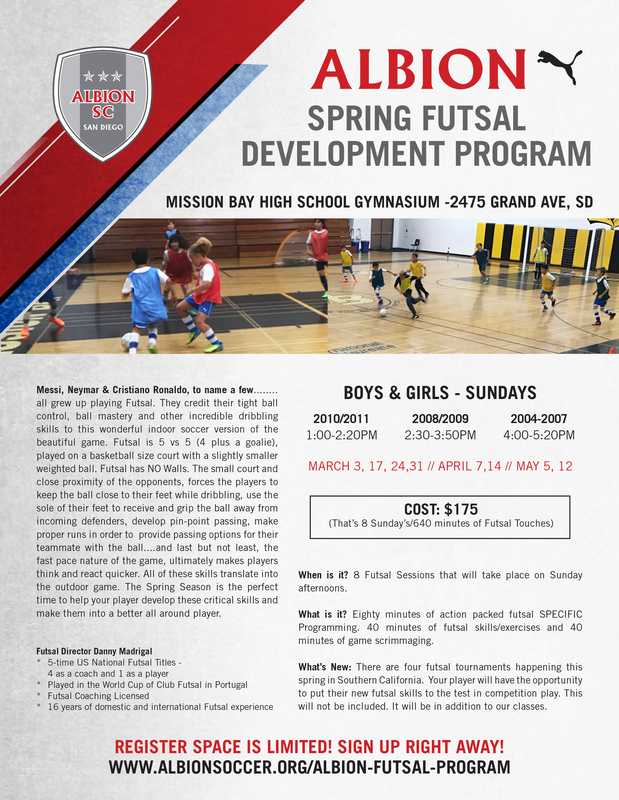 We use the sport of Futsal to further enhance our players skillful and creative play. Futsal is 5 vs 5 ( 4 plus a goalkeeper) Indoor game , played on a basketball size court with a slightly smaller weighted ball. Futsal has no walls. It is fast paced, dynamic and action packed!! !